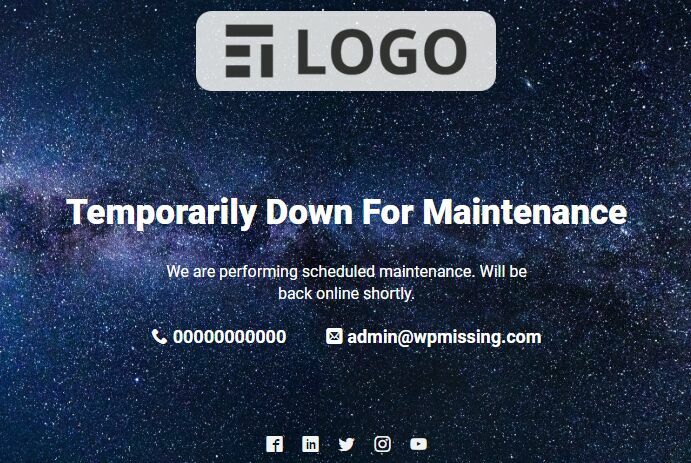 The WEN Maintenance Mode plugin allows the admin to quickly create a highly customizable landing page for Maintenance Mode of your WordPress website. Custom logo & background image. 2 predefined themes: dark and light. Exclusive favicon & page title. 1. 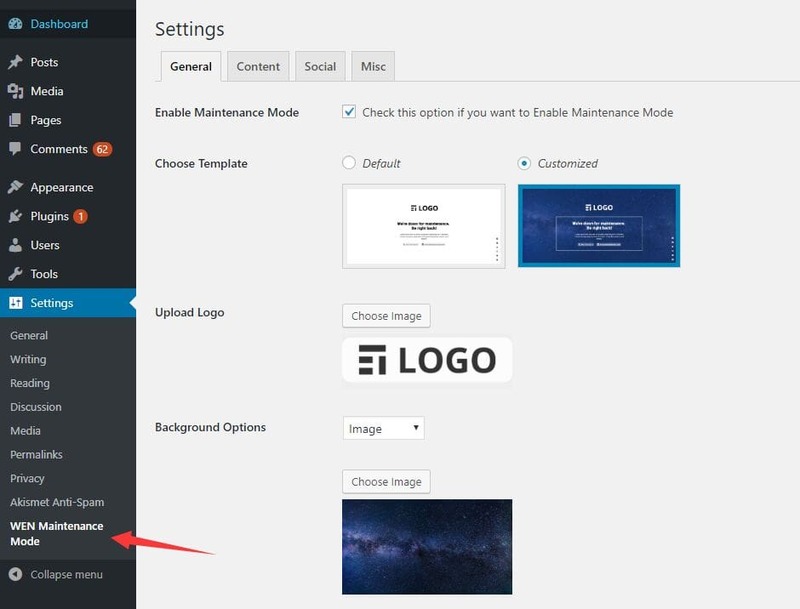 Search for the plugin WEN Maintenance Mode on the Add Plugins page after you login to the admin panel. 2. Click the Install button to install and activate the plugin on your WordPress website. 3. 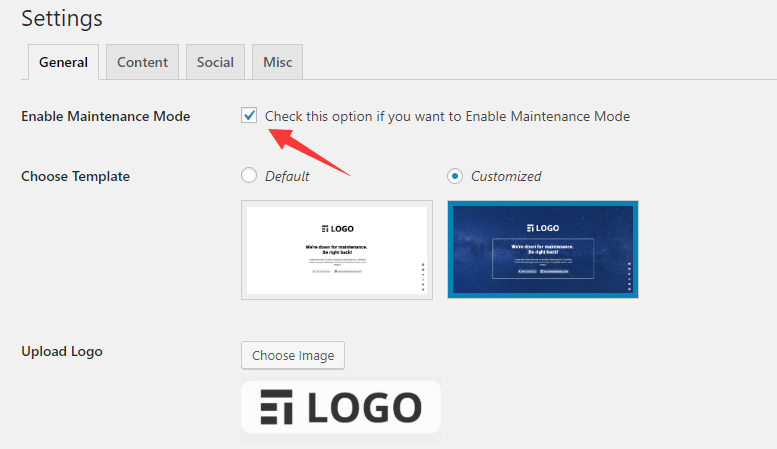 Go to the Settings page to specify the theme, logo, background image of the Maintenance Mode page. 4. 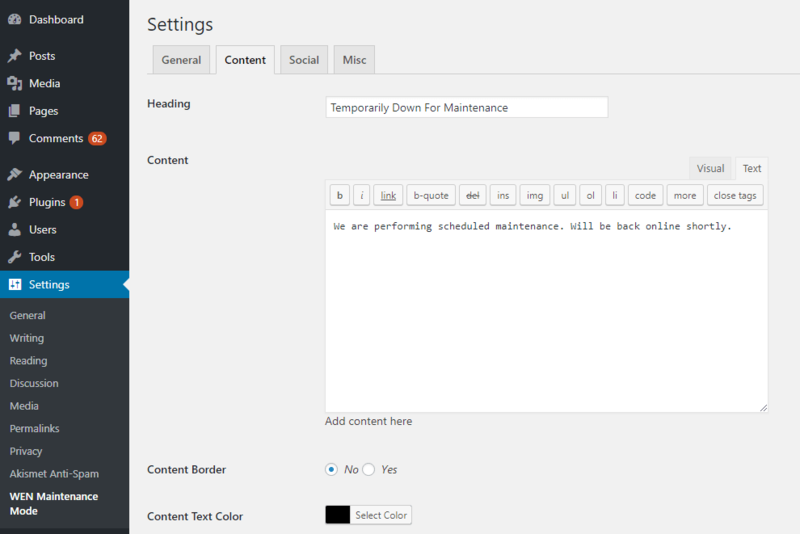 Customize the content displayed in the Maintenance Mode page. 5. 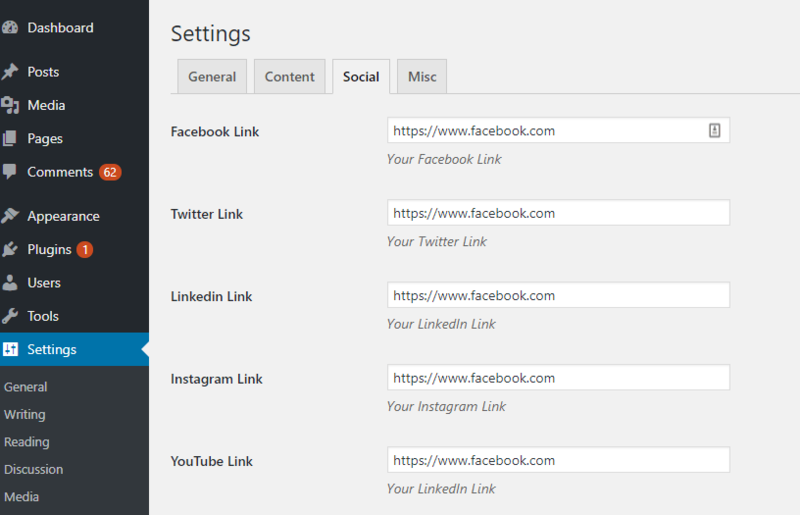 Add social links, telephone numbers, and email address under the Social tab. 6. 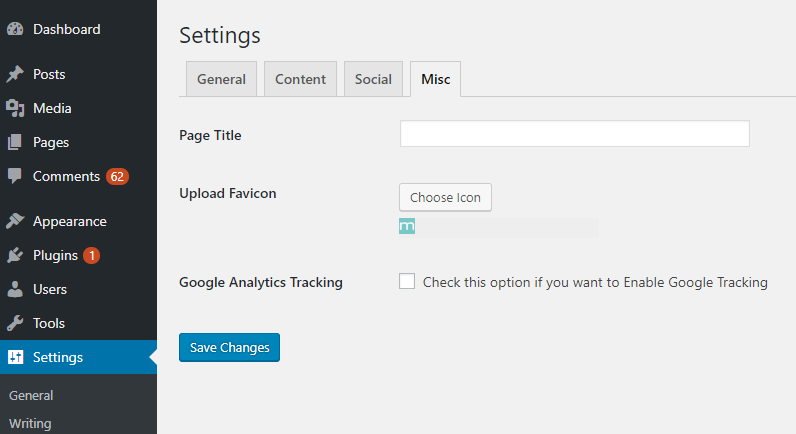 Set the page title, favicon and enable/disable Google Analytics Tracking under the Misc tab. 7. Check the checkbox to enable Maintenance Mode.